You lie in bed, trying to go to sleep and your mind races. You are desperately trying to stop thinking about your plans, to-do list, you worry about the future, reflect on the past with resentment… the more you try to push these thoughts away the more frustrated and anxious you become… You repeat in you mind: I can sleep…, I need to go to sleep…, I will be exhausted tomorrow… But you still are awake! So you reach for your phone, try to read something, a book, some news… you switch on the radio… You are doing so much to try to go to sleep and you still can’t sleep! Sleep is not about doing… it’s about not doing, just sleeping. Somehow you lost this natural ability to drift into this pleasant state easily. Because it is natural and you need to relearn how to do that, simply let go and sleep. 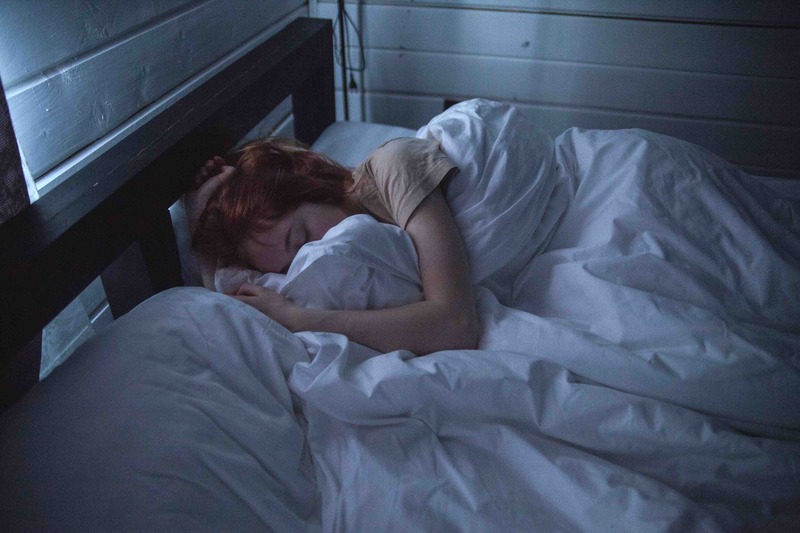 There are different ways in which people experience sleep problems – some people find it difficult to go to sleep, other wake up during the night or early in the morning and can’t go back to sleep and some have mixture of both, and some never feel rested, even after an 8h sleep. In other words, we’re chronically sleep deprived, and this lack of sleep limits the body’s ability to repair and restore itself. We don’t perform well if we are not rested, we can’t focus, we feel overwhelmed and can’t enjoy our life. 1. Notice your self-talk, your internal voice. Observe it without judging or pushing away. What your internal voice is saying when you are trying to sleep? There might be very valuable information hidden! 2. Reduce your general life pressure and worries. Learn to say no to taking more responsibilities than you are able to cope with. Recognise what is really important to you. Allow space and time for yourself. You are important! 3. Create a safe place in your mind. A safe place is a very important part of a hypnotherapy session. Everyone has a different place, where they feel comfortable and calm. It’s unique and related to special memories and moments in life. During relaxation or just before going to sleep you can imagine yourself being there, resting and clearing your mind. Remember a time when you felt very tired and remember how your body felt. Now, keeping that feeling, imagine you are surrounded by some of your friends who are all just as tired as you. As you look around notice that one of them yawns. Watch them yawn. Then another one yawns. As more people begin to yawn, notice how you feel and notice that some people are having difficulty keeping their eyes open. And let yourself join in the yawning. Notice wether your eyes want to close and even if your eyes are already closed, imagine them closing again, imagine them flickering then closing again, over and over again. Yawn again and notice where you feel the yawn – in your throat or jaw – and let your mind drift, and every time you find yourself drifting back again, just look around again at the circle of tired, yawning people. As you yawn more and more, notice a warm, comfortable feeling spreading around you, and let yourself drift again. This exercise is so powerful that even just by reading it I feel sleepy! 5. Listen to a hypnotherapy recording before going to sleep. You can purchase them online on various websites. I always give a personalised recording to my clients as a part of their hypnotherapy program. 6. Let go of perfectionism. Be kind to yourself, not critical. Don’t assume that you should sleep soundly every single night. Everyone from time to time has a sleepless night. It is important not to hold on to it. Recognise what could be the cause and eliminate it if possible. Keep your bedtime routine, settle down, listen to a hypnotherapy recording and have some rest you deserve. Focus on positives instead of looking for faults. Don’t put additional pressure on yourself. Relax your body and your mind – hypnotherapy induction helps you to relieve tension from your body, slows your breathing down. It helps you to achieve the feeling of heaviness in your body. The hypnotic state is just like meditation a state of heightened awareness, it helps you to notice your thoughts and disconnect from them, as this is your choice. Induce sleep and fall into a deep sleep – a hypnotic state is a state between being awake and being asleep. You are still aware of your surroundings but the transition to sleep is natural. Once you are relaxed, simple suggestions will help you drift to sleep easily. If there is a root cause, hypnotherapy will help you to discover it, understand what keeps you awake and help you to solve it. Hypnotherapy might help you relax and if necessary to deal with the possible causes of your sleep problems. If you feel that sleeplessness affects quality of your life, call me for a free phone consultation or email me to find out how I can help you. ⟵What do you feed your confidence?